So, if you haven’t planned to deep clean your house yet, it is the right time to give it that top-to-bottom cleaning. It will help to maintain the value of your home, meanwhile appealing the buyer immensely. Below you will find a list of overlooked areas which are meant to be cleaned thoroughly in order to increase the value of your space. Clean mold and mildew: Bathrooms are not to be missed! Especially the mold and mildew formation there has to be treated. For this, you can use liquid household bleach or cleaners. While bleach will remove mildew stains, you can count on a good, non-streaking cleaning product for doors and mirrors. Rest, a regular cleanup including using a small squeegee on shower walls, rinsing the tub after bathing, drying faucets and handles, can be done. Clear the heat vents and registers: It is common for dirt and dust to build up in the heat vents and register blades. But don’t be surprised to find coins and buttons in the vents while you are cleaning. These serve to be great receptacles. So you need to unscrew the vent covers or you can pluck them, remove the foreign objects, and vacuum it. Later you can clean grates with a damp cloth and screw it back. Fix the light fixtures: If there are bug burials around your overhead fixtures, make sure you wipe them off. Be careful and turn off the lights before you start. Remove the fixture covers, dump out flies, and then wash it with lukewarm soapy water. Don’t forget to dust out those bulbs. And let dry everything thoroughly before placing them back. Carpet care: Buyers are attracted towards the carpet area as it makes your home look warmer, inviting, and spacious. Plus, it tends to reduce the noise levels. So it has to be cleaned. Even if you aren’t planning for a professional carpet cleaning, do it yourself with some easily available equipment. Start with the farthest corner and work backward toward the door, to avoid any footprints. 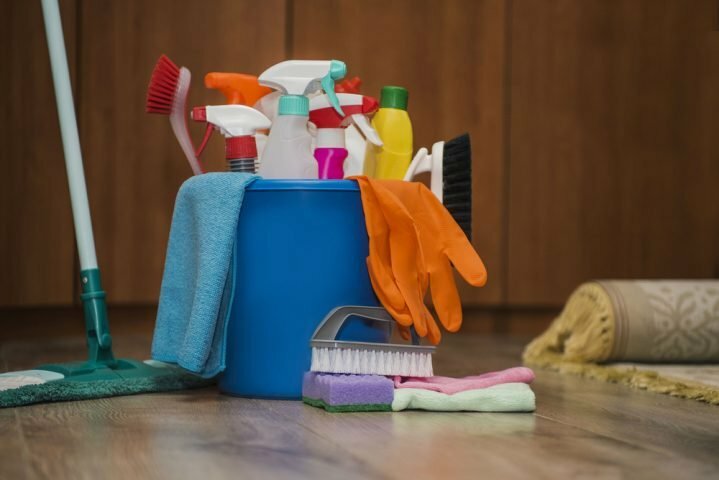 And the best part about these tips is that you don’t have to invest a large amount of time or money to clean these areas. Just a weekend would be sufficient to make these parts of your home sparkle or you can also hire a professional to deep clean your house.